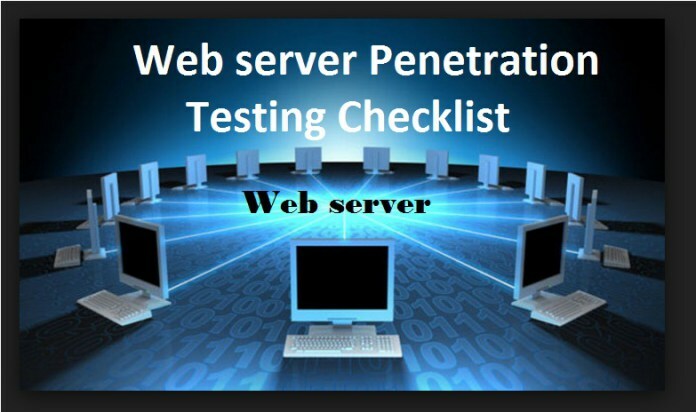 “Conduct a serial of methodical and repeatable tests” is the best way to test the web server along with this to work through all of the different application vulnerabilities. “Collecting as Much as Information” about an organization Ranging from operation environment is the main area to concentrate on the initial stage of web server Pentesting. Performing web server Authentication Testing, use Social engineering techniques to collect the information about the Human Resources, contact details and other social related information. Gathering Information about the target, use whois database query tools to get the Details such as Domain name, IP address, Administrative Details, autonomous system number, DNS, etc. Fingerprint web server to gather information such as server name, server type, operating systems, applications running on the server etc., use fingerprint scanning tools such as: Netcraft, HTTPrecon, and ID Serve. Enumerate web server Directories to extract important information about web functionalities, login forms, etc. Perform Directory traversal Attack to access Restricted Directories and execute the command from outside of the Web server root directories. Performing vulnerability scanning to identify the weakness in the network use the vulnerability scanning tools such as HPwebinspect, Nessus, and determine if the system can be exploited. Perform cache poisoning attack to force the web server’s cache to flush its actual cache content and send a specifically crafted request which will be stored in the cache. Performing HTTP response splitting attack to pass malicious data to a vulnerable application that includes the data in an HTTP response header. Brute force SSH, FTP, and other services login credentials to gain unauthorized access. Perform session hijacking to capture valid session cookies and ID’s, use tools such as Burb suite, Firesheep, jhijack to automated session hijacking. Performing MITM attack to access the sensitive information by intercepting the altering the communications between the end users and web servers. Use tools such as Webalizer, AWStats to examine the web server logs. CORE Impact pro is the software solution for assessing and testing the vulnerabilities on the organization’s web servers, Network system’s, Endpoint systems, wireless networks, network devices, Mobile devices, IDS/IPS. WebDAV is disabled if not used by the application OR it is secured if it is required. Null sessions (anonymous logins) are disabled. Website content is located on a non-system NTFS volume. The Everyone group is restricted (no access to WINNTsystem32 or Web directories). Failed login attempts are audited. Ensure certificate date ranges are valid. Only use certificates for their intended purpose (For example, the server certificate is not used for e-mail). Ensure the certificate’s public key is valid, all the way to a trusted root authority. Confirm that the certificate has not been revoked.